Late in Charles Darwin's life, Darwin told the Duke of Argyll that he frequently had overwhelming thoughts that the natural world was the result of design. For most of his adult life Charles Darwin suffered from very poor health. The 1992 New Encyclopedia Britannica stated that Darwin's illness was psychogenic in origin (A psychogenic illness is one that originates in the mind or in mental condition). A 1997 article in the Journal of the American Medical Association declared concerning Darwin's illness that the "variable intensity of symptoms and chronic, prolonged course without physical deterioration also indicate that his illness was psychiatric." In addition, a journal article in the American Journal of Medicine states that Darwin suffered from "psychoneurosis provoked and exaggerated by his evolutionary ideas". The American Journal of Medicine article also stated that his Darwin's wife, Emma, greatly disapproved of his evolutionist ideas and "This, facsimile of public reaction, must have kept lively his anxiety and torment". According to medical journals Darwin suffered the following symptoms: palpitations, shortness of breathe ("air fatigues" ), light headedness ("head swimming" ), trembling, crying, dying sensations, abdominal distress, and depersonalization ("treading on air and vision"), nausea, severe vomiting, flatulence, alimentary canal pain, various forms of eruption of the skin, and nervous exhaustion. According to the abstract for a 1997 journal article in the Notes and Records of the Royal Society the psychogenic hypothesis for the origin of Darwin's illness "holds the field" but the article questions the validity of this diagnoses and mentions the work of Ralph Colp Jr. MD, a physician and psychiatrist. Dr. Colp's work in relation to Darwin's illness is highly respected in the medical community and an article in the Journal of the American Medical Association stated regarding Colp's work the following: "His painstaking work in seeking out every possible source comes close to yielding the complete biography of an invalid's illness." In a letter to the editor in the April 23/30 1997 edition of the Journal of the American Medical Association Dr. Colp wrote the following: "I believe that Darwin's illness consisted of panic disorder (without agoraphobia), psychosomatic skin disorder, and possibly Chagras disease of the stomach." 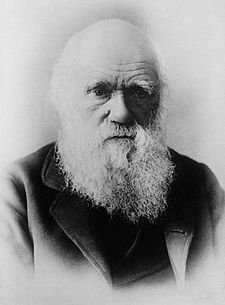 Dr. Colp also noted that Darwin had facial eczema that often was caused by controversies over his evolutionist ideas. In regards to the possible Chagas disease Dr. Colp states: "The disorder was first active and then became inactive, permanently injuring the parasympathetic nerves of his stomach and making it more sensitive to sympathetic stimulation and hence more sensitive to the "psychosomatic impact of his anxieties." An organic impairment best explains the lifelong chronicity of many of his abdominal complaints". Darwin once wrote to his physician 'We are a wretched family and ought to be exterminated.' Given Darwin's likely psychomatic or psychobiological illness, various creationists have stated that Darwin's illness was the result of guilt and/or fear. This page was last modified on 9 April 2019, at 01:30. This page has been accessed 14,945 times.